I decided to go natural because having a relaxer may have made my extremely thick hair more manageable but it was not worth it. There was little difference in the texture, especially when in intense heat and humidity; it was as if I did not have a relaxer at all! Lol. I began my natural journey three years ago this month! My natural hair goals are to achieve the long and healthy hair that I used to have but relaxer free. My goal is for my hair to reach elbow length again! My current natural hair regimen is co-washing every other day with a basic conditioner (like Garnier Fructis), and a normal wash (Original Mane ‘n Tail shampoo/conditioner) and deep condition once a week (combination of eggs, olive oil, and mayonnaise). My personal style would have to be simple. I am a wash and go pin-up kind of naturalista. No fussy stuff, just something easy and manageable for everyday wear. My biggest tip for transitioners would be to deep condition! I cannot say this enough! Weekly deep conditioning will help to minimize breakage where new growth and relaxed ends meet. Also, if you are not brave enough to do a big chop, there is nothing wrong with cutting your hair little by little as your hair grows out. My staple all natural product would have to be olive oil! Olive oil provides the moisture that my hair needs, and helps to strengthen my hair while defining my curls. 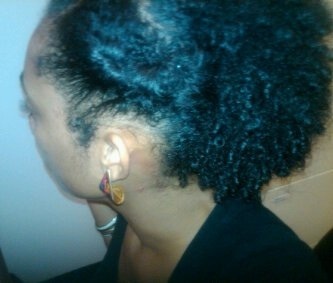 My natural hair is diverse! 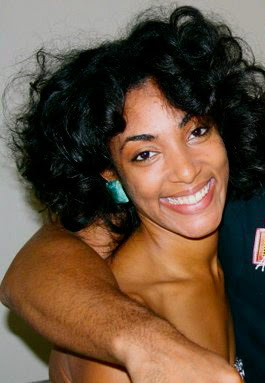 Khindra is from Miami, FL and holds a B.S. in Healthcare Management and MASS in Public Administration from Florida A & M University! Previous Post Whip your hair into shape TODAY! Next Post 5 lip colors to try for Fall 2011! I know this pretty face! Yes, I too love her big, bouncy hair! These photos don't do it justice!